Lately, I have been exploring the benefits of healing crystals, aromatherapy, and Himalayan Salt Lamps. Being constantly on the move means I have to treat each precious moment of peace with appreciation. Today I will show you how to make the most of those precious tea moments. Why should I create and tea oasis? Having your own space and giving yourself a moment to breathe will help quite your inner monologue. Doing so will help you recharge, reduce stress, and keep going more efficiently. Why should I do this? Where is the Science behind it? First, I am not a doctor or health care professional but I know a few moments of peace will benefit everyone. My results are my own and what I’m sharing today are my personal experiences and that of my family. As for the Science, just because it can’t be explained doesn’t mean it isn’t going to work. We once believed the Earth was flat and you know how that turned out. The important thing is you enjoy some “me” time. Worst case, if doesn’t work you will have created a peaceful and aesthetically pleasing way to enjoy your next cup of tea. Find a small place in your home where you can commit to your own self-healing. I have a small section on my kitchen counter. 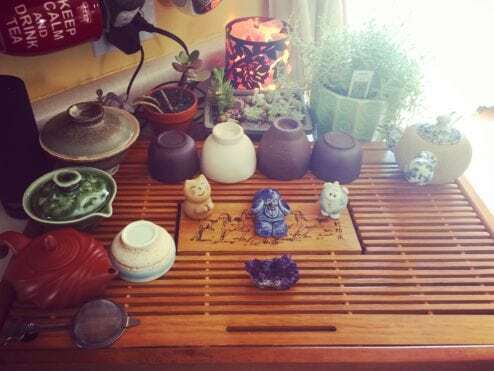 Find a tea table you love. I have this one from Amazon. Select a teapot and cups you can leave on your table so they are always ready to use. This way you’re always prepared. 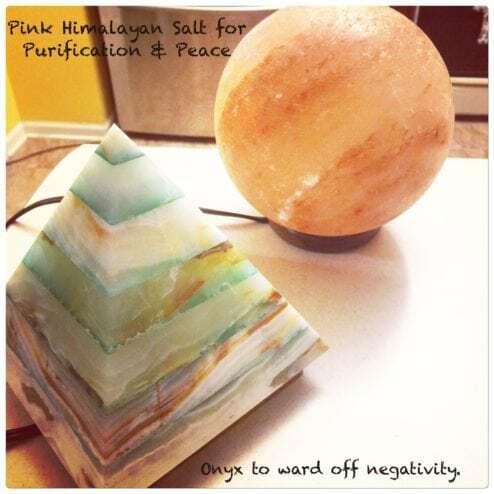 Pink Himalayan Salt Lamps are thought to help purify and bring peace. Onyx Lamps are thought to ward of negativity. Make room to include a Himalayan Salt Lamp. 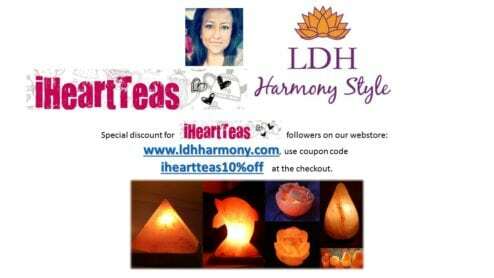 I have five salt lamps and one Onyx Lamp from a local shop, LDH Harmony Style. The products are amazing and the staff is incredibly knowledgeable. Arrange a few small plants around your table. 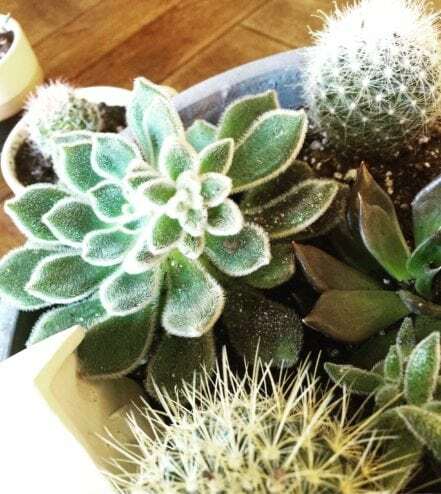 I enjoy the easy care of succulents, cacti, and bamboo. You decide what you prefer. 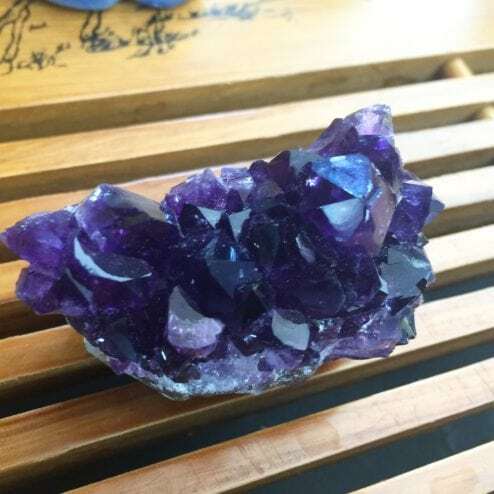 Amethyst is thought to help with clarity. Based on which areas you need to focus on you will need to decide which crystals you need. I decided to use amethyst. Amethyst because it is believed to reduce stress and anxiety. You may choose something else based on your needs. Check out this article from Mind Body Green for a quick reference guide. 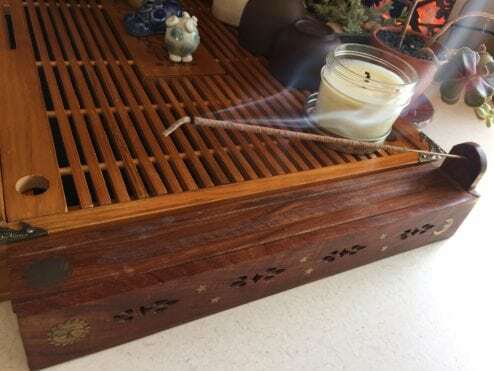 Burning incense is thought to give luck, reduce anxiety, and cleanse negativity. Lastly, find a diffuser that allows the addition of pure essential oils. You can add lavender for peace or sweet orange for energy, the possibilities are endless. I suggest using pure essential oils and not those blended with oils. Here are a few options for oils and diffusers. If you prefer you can even use incense. I sometimes use both but in different rooms. Bonus Points: Listen to relaxing New Age music for meditation such as Tibetan Singing Bowls. I use my Amazon Echo to listen to music. Make your tea of choice and enjoy. 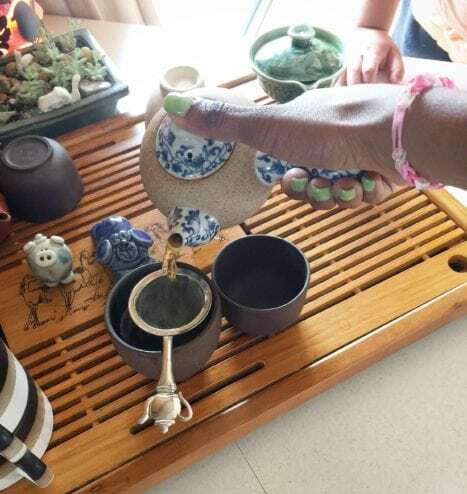 Once you have your tea oasis setup, try to use it at least once a day for the duration it takes you to drink a cup of tea or longer if possible. Remember to breathe in and out slowly. Allow your inner monologue to quite and live in the moment. A brief moment each day can make a huge difference over time. For those interested in picking up items please consider LDH Harmony Style. I love their products and quality. Plus their knowledgeable staff is always available to help even via Social Media. They will ship for FREE on orders of $20.00 or more. Plus a 10% off coupon code just for my readers. 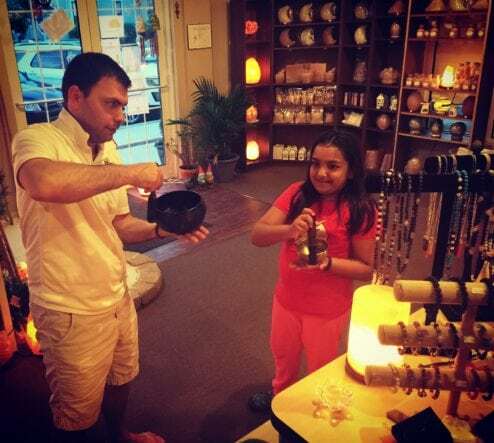 LDH Harmony Style Owner Juan Bustelo, demonstrating how to play the calming sounds of Tibetan Signing Bowls to my 10yr old daughter, Alexandria. This was her first time experience with the bowls and a Chakra Meditation class the same day. Meditation classes are offered regularly for a $5 donation.